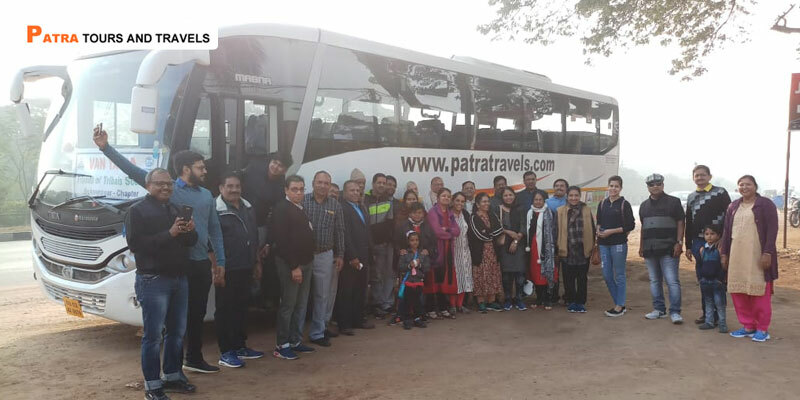 Hire 44 Seater Luxury Bus Coach in Odisha, Book Prepaid Taxi from Patra Car Rentals for Local Tour, Outstation Tour, Intercity Tour, Pick & Drop Services (All Transfers), Tourist Coach Transport. 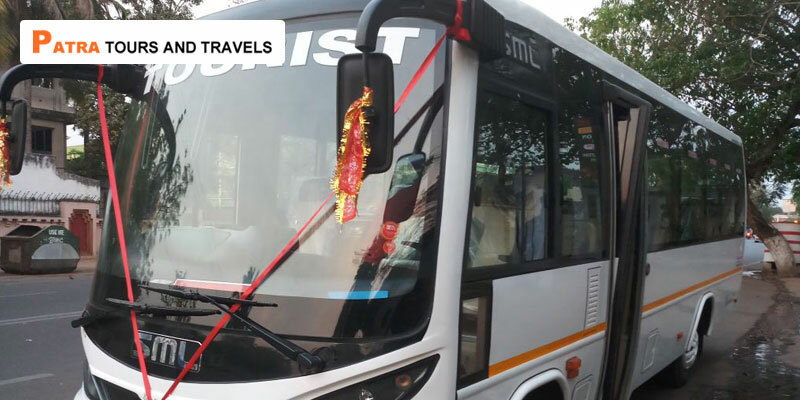 Customized your Odisha Tour with AC 44 Seater Luxury Bus with Best Lowest Price Guaranteed. 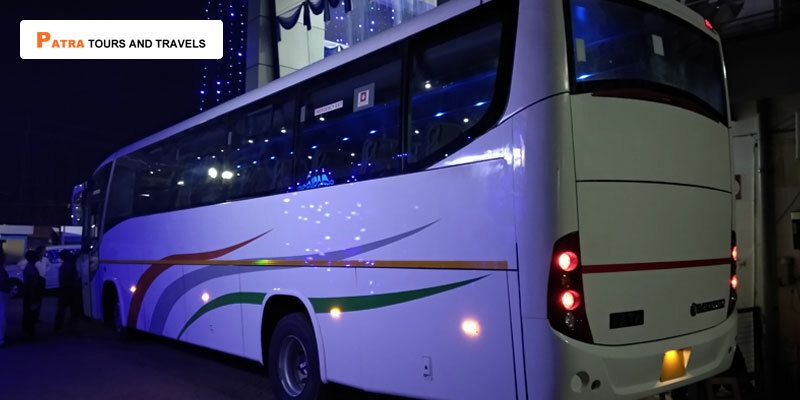 Book AC 44 Seater Luxury Bus Online for Whole Odisha State, pick up & Drop available from Bhubaneswar Airport (BBI), Bhubaneswar Railway Station (BBS), Puri Railway Station, Berhampur Railway Station, Balasore Railway Station & All other Railway stations in Odisha. 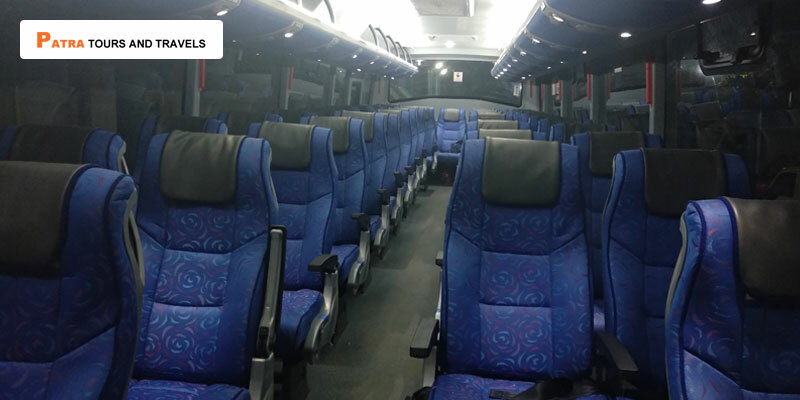 Hire AC 44 Seater Luxury Bus on rent for Private Odisha Tours. 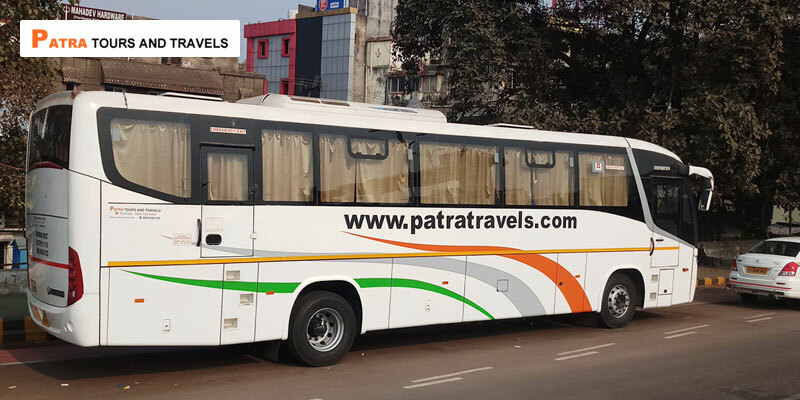 Pre-Book Whole Bus Online in Odisha & Get Best rate. Send Us your requirement on Enquiry Now form & We will assist you. 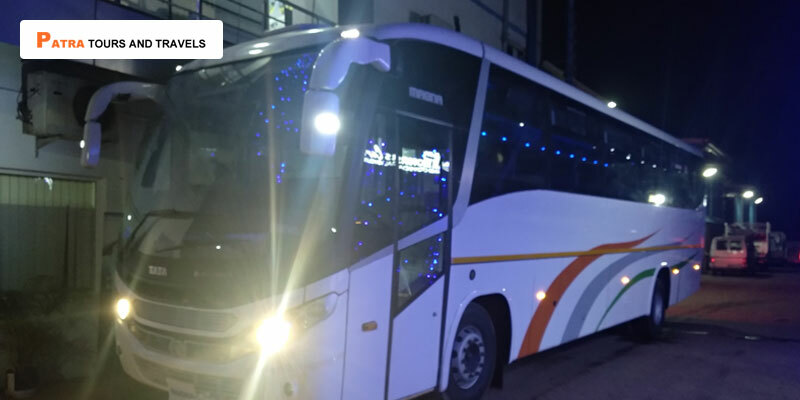 Night Halt Charges from 10 PM - 6 AM ( Light Vehicle- Rs.250, Traveller - Rs.300, Coach - Rs.1000). For Outstation Duty - Minimum 250 km's charged per Day. While driving on Ghat roads, Air-Conditioning shall remain switched off. All disputes are subject to Bhubaneswar legal jurisdiction only. Mail & SMS alerts on allotment of Vehicle Registration No. & Driver Details before 04 hours of Pick-up. Our PTT Representative or Driver Will be there with a Welcome Placard at Airport to receive guests. 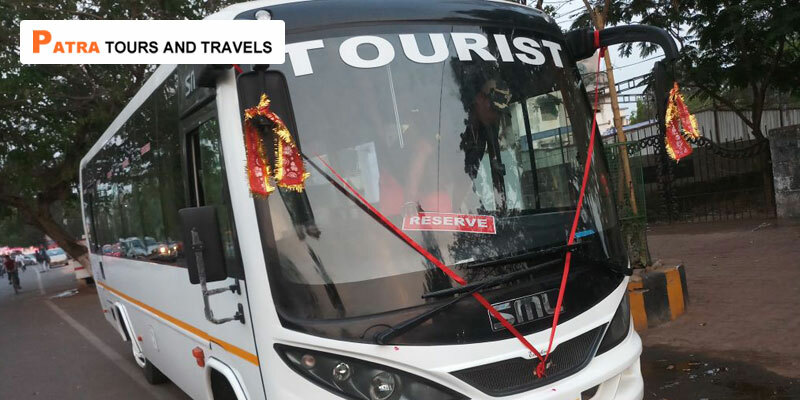 Round the Clock Car Rental Services available for Tourist, Corporate, sightseeing trips, guided tour and special events.